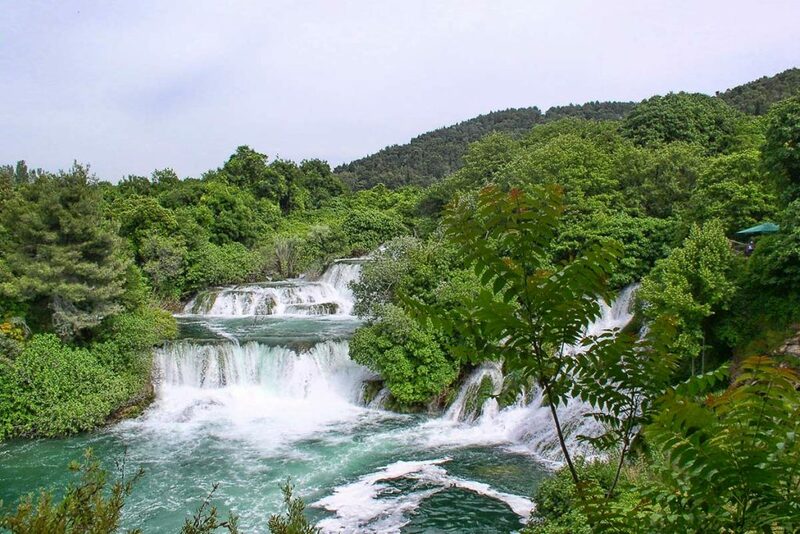 Magical National Park runs from the Adriatic in the neighbourhood of Šibenik town. 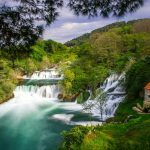 This is a unique oportunity to visit Krka National Park and UNESCO World heritage site – St. Jacob’s Cathedrale in one day. 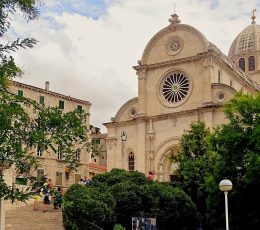 After meeting on the Riva Promenade you will meet our guide and take short ride to the Šibenik. 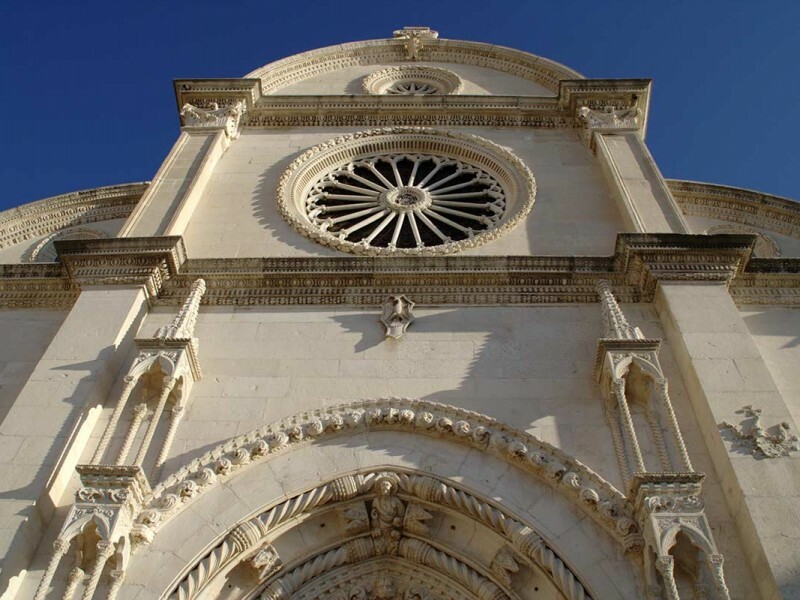 Your first stop on this tour is a historical city in cental Dalmatia. 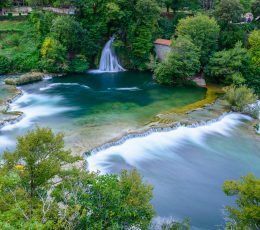 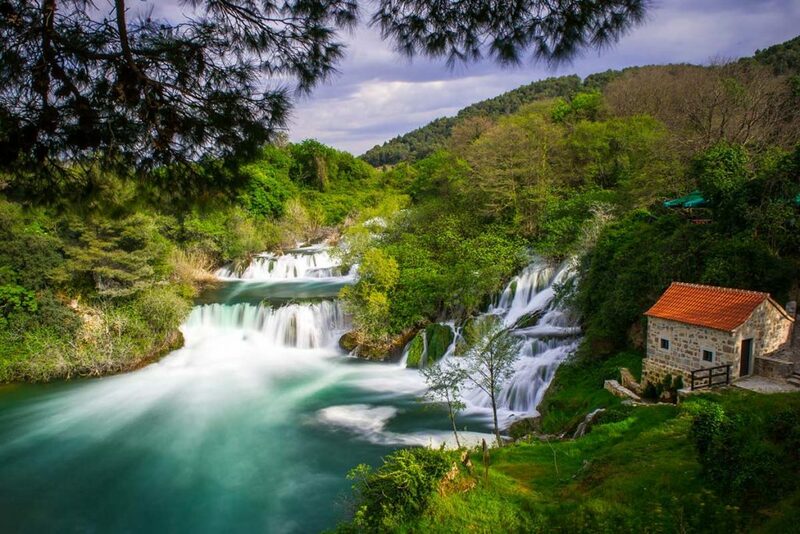 This town is a place where Krka river flows into the Adriatic Sea and home to one of the UNESCO World heritage site. 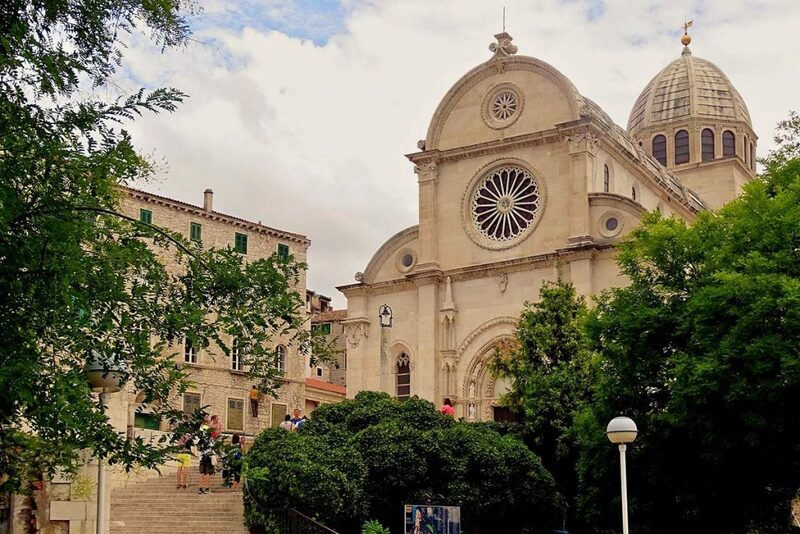 Visit St. Jacob’s Cathedral, numerous narrow streets and squares and take a walk along the Promenade. 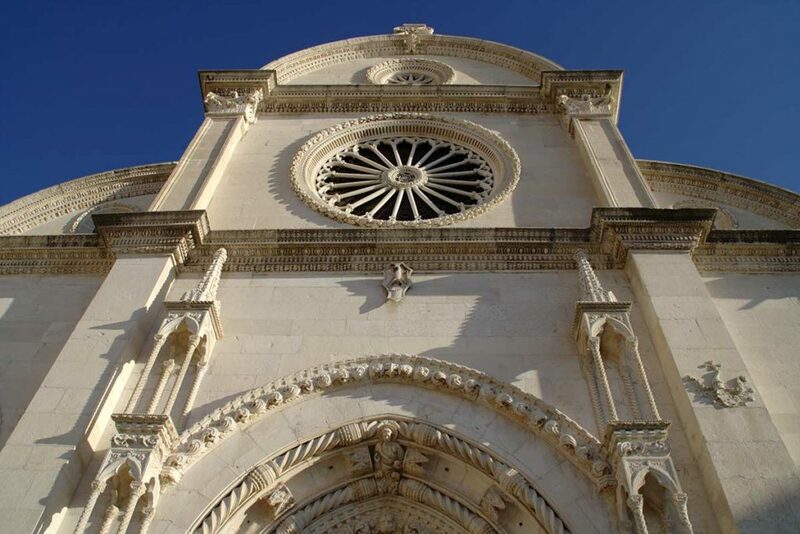 Cathedrale is the most impressive sign of this cultural town. 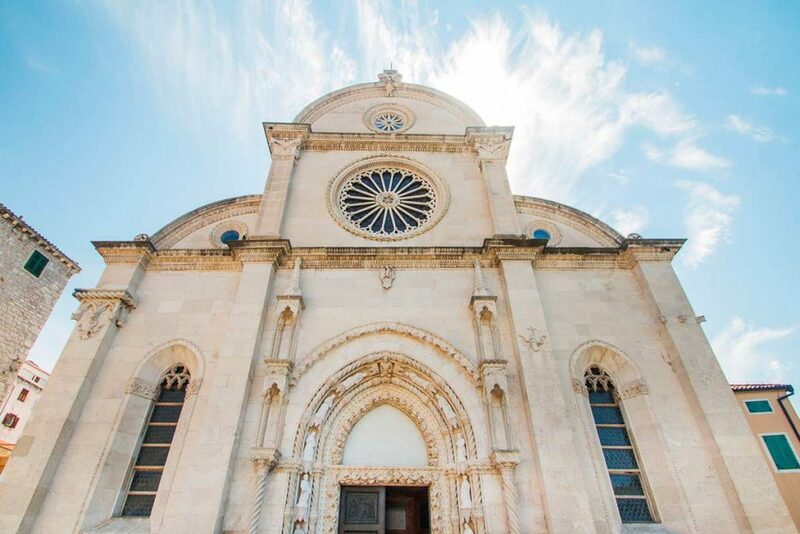 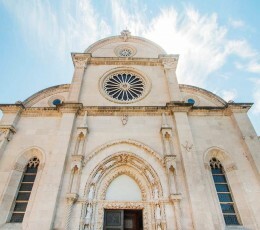 Built by of a limestone and famous stone from the island of Brač, it is an important architectural Renaissance heritage and today a “must see“ place when you are in Dalmatia. 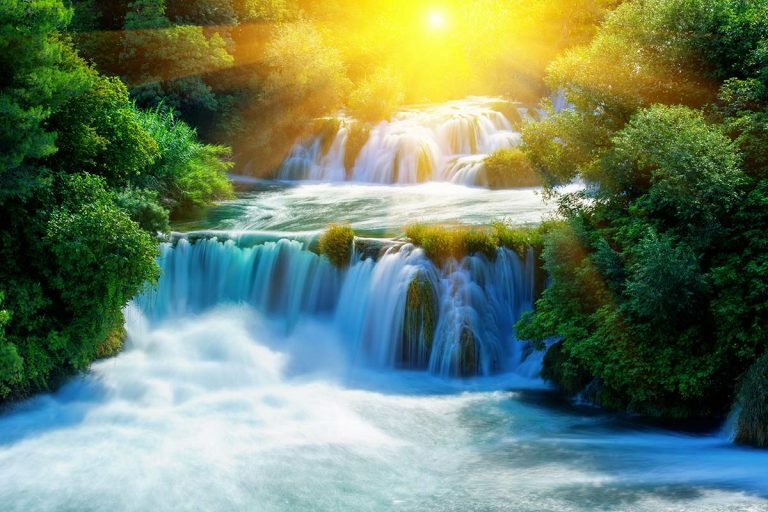 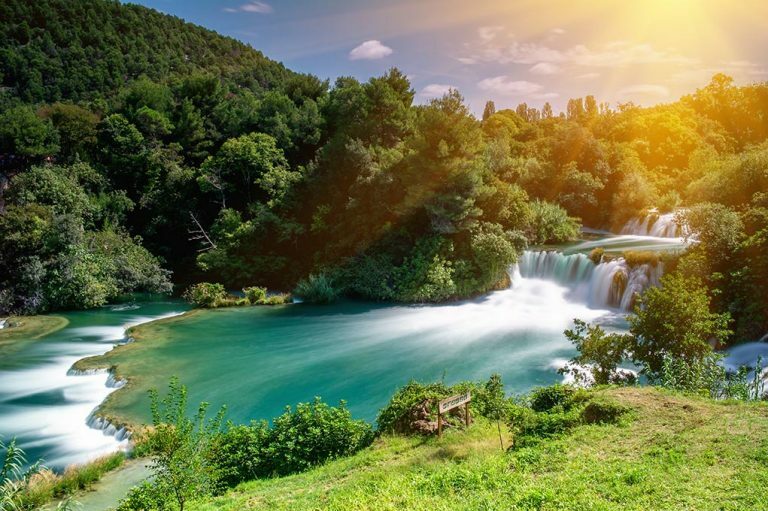 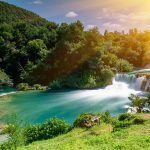 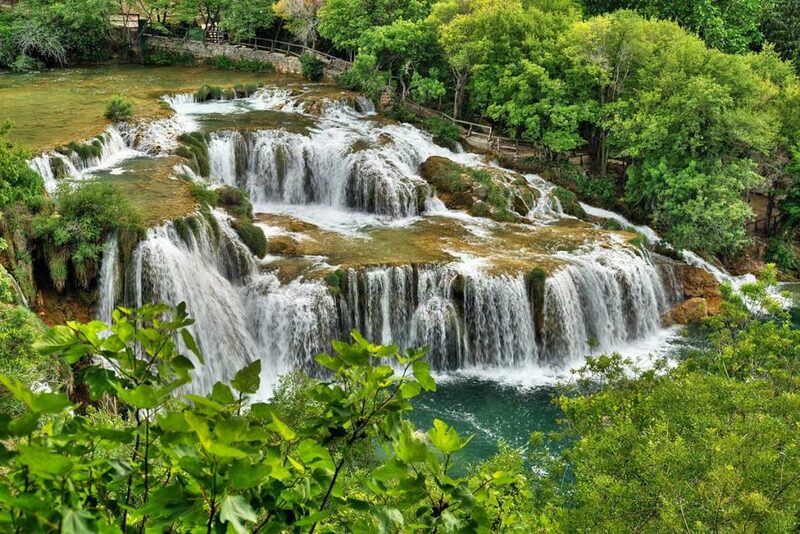 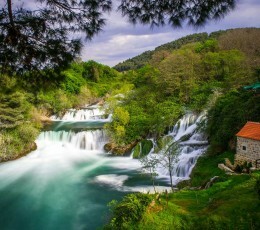 One of the most famous National Parks in Croatia, Krka Waterfalls is unavoidable spot in this area. 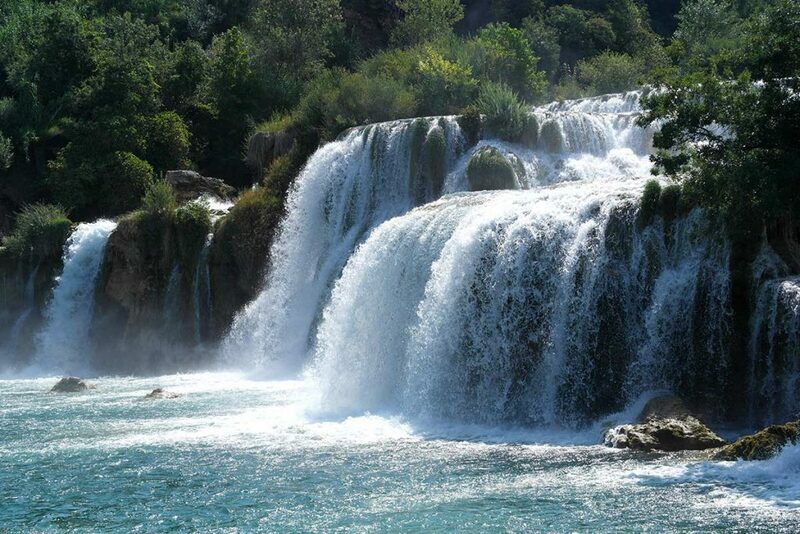 Once you enter the National Park you will be amaized by picturesque waterfalls, fresh air and beautiful nature. 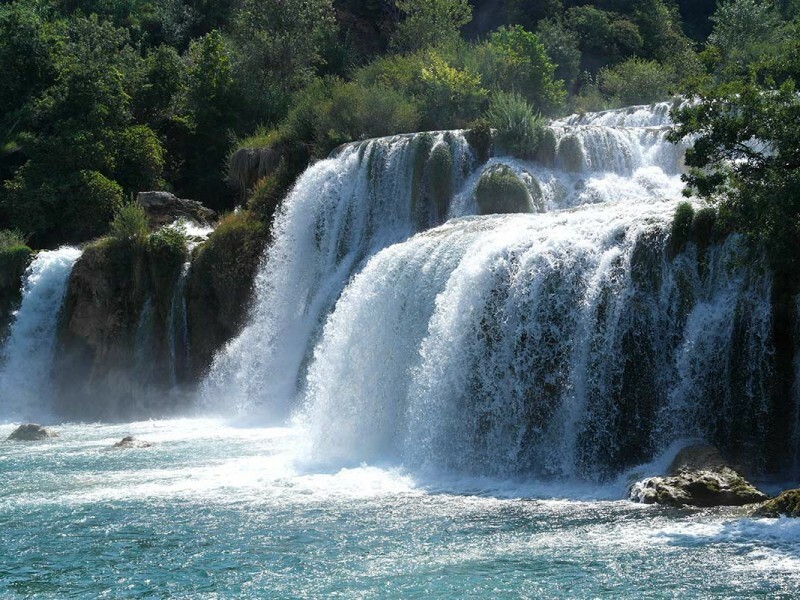 Don’t miss this opportunity to swim under the famous watefalls and crystal clear water in Krka river. 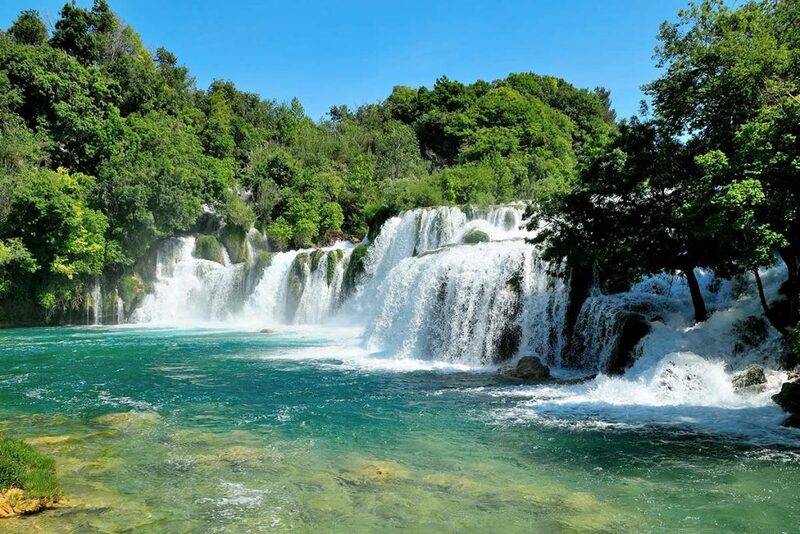 After the guided tour inside the Park you will have free time to explore the Park on your own. 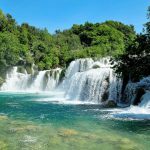 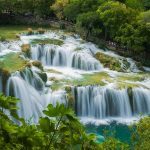 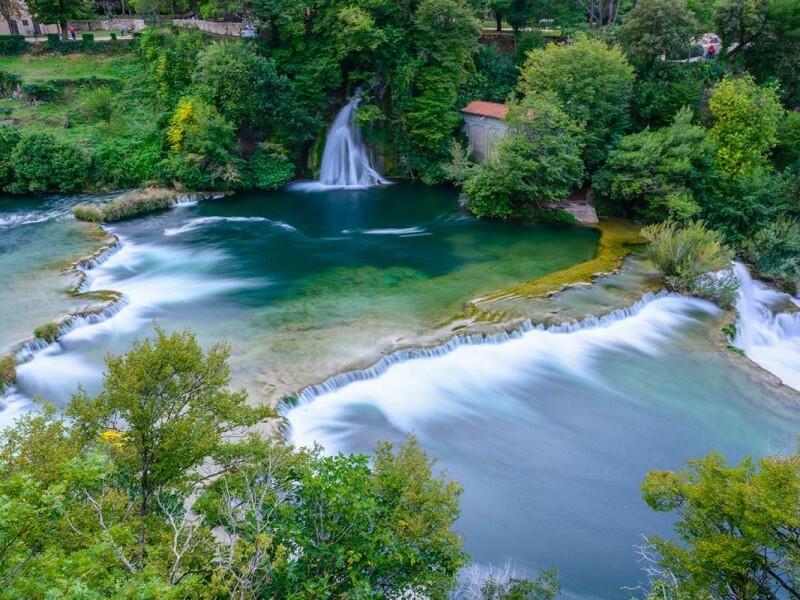 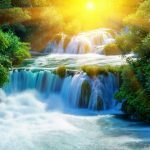 Skradinski Buk is the most famous and impressive waterfall in Croatia, the one you can find on plenty of pictures when you are searhing for famous Croatian destinations. 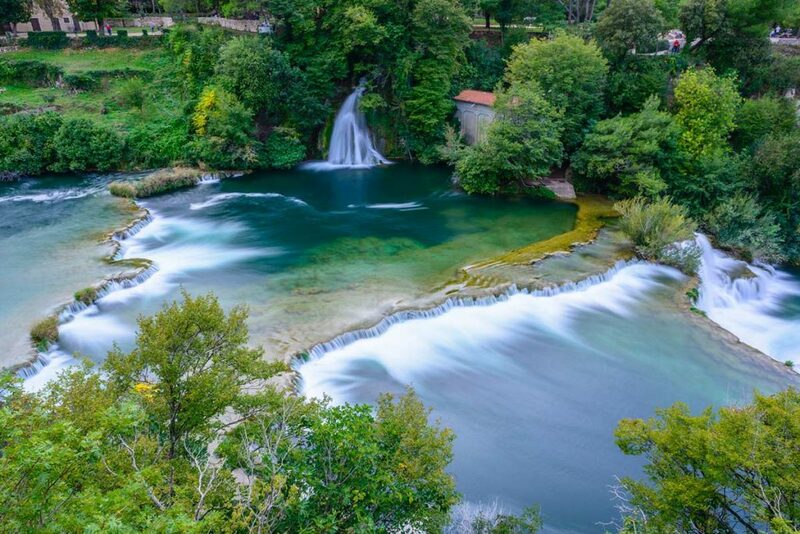 Our guide will introduce to you stunning watermills, traditional folk architecture, Ethno village and flora & fauna. 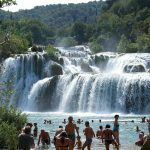 After guided tour is over, it’s time for unique experience – swimming under the waterfalls. 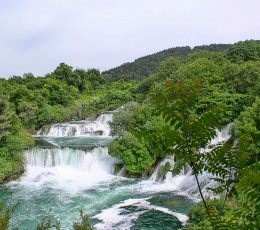 Adjust your free time inside the Park for swimming activities, lunch in one of the restaurants and walking through the trails in local area. 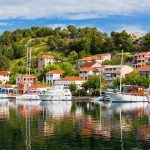 From Skradinski Buk you will take paoramic boat ride to the little coastline town Skradin. It is one of the Croatian oldest towns with rich history and stunning marina. 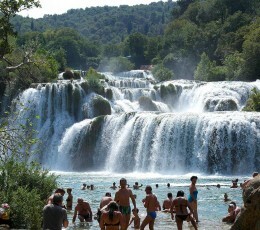 Today is attractive tourist destination with numerous attractive sites. 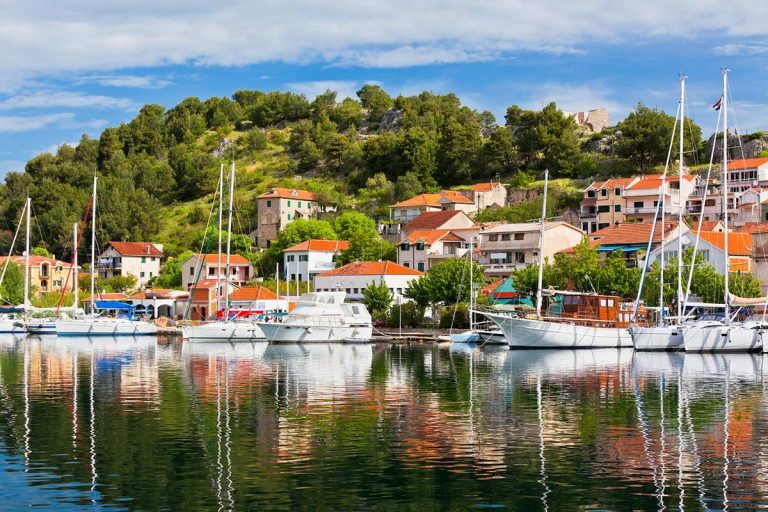 In this cahrming little town you will taste Croatian wine and end your journey. 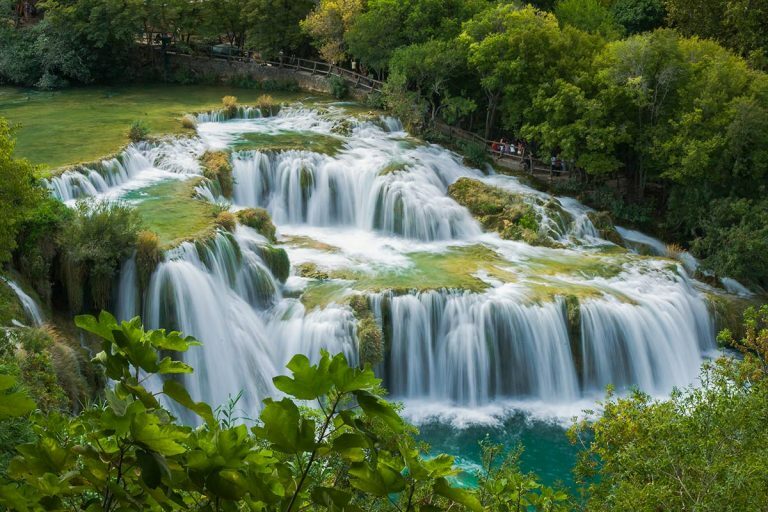 You will be charged an extra fee for the entrance to the National Park. 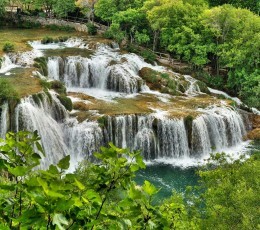 Please prepare a cash on the day of departure. Bring sunscreen, hat, swimmsuit and beach towel with you. 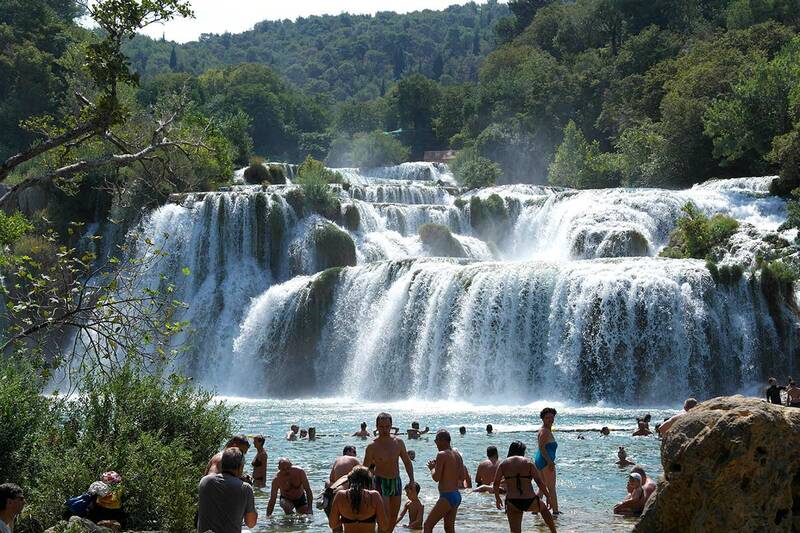 Please prepare cash for the Enrance Fee to the National Park (130 Kuna per person) on the day of departure. 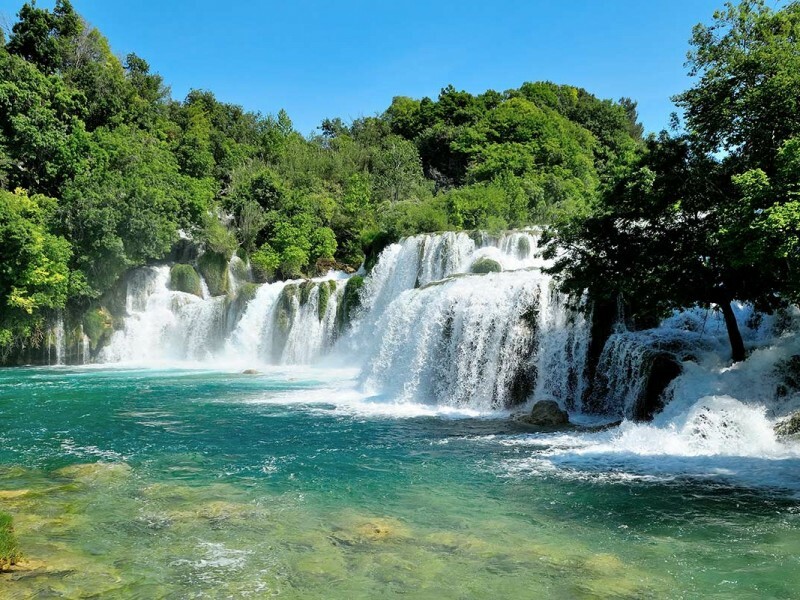 There is no Entrance Fee for the children under the 7 years old.